Donna has been an online writer for nearly 10 years, beginning with Yahoo Contributor Network, turned Yahoo Voices, where she held several Featured titles. She enjoys writing about many topics and sharing new things with her dedicated followers. 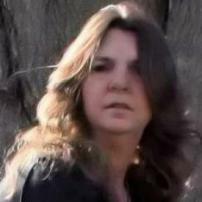 You can find her writing page, Weaving Words Creative Writing Service, on Facebook. She also loves chatting with her readers. My Friend Cayla doll may not be your child’s friend, who’s really talking? ‘Trump Triumph Thursday’ – his best day as President, at least in his mind?